I was invited to visit Matcha & Beyond on the Kings Road earlier this week. 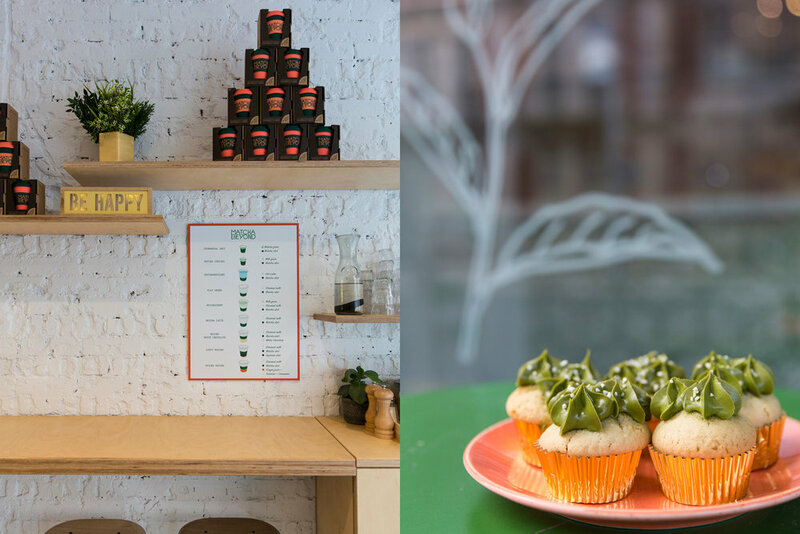 The newly opened cafe specialises, as the name suggests, in all things Matcha. I wrote back to the PR saying, I very much dislike Matcha the two occasions I’ve had a Matcha Latte I couldn’t manage more than a sip. A reaction I thought was similar to trying Marmite for the first time (you love or hate it). The lovely PR insisted that Olivia, the founder and creator of Matcha & Beyond would change my mind by showing me and letting me taste good quality matcha that has been treated well and used in the right way. I know there are lot of great properties in matcha, so I was happy to let her try and convince me. 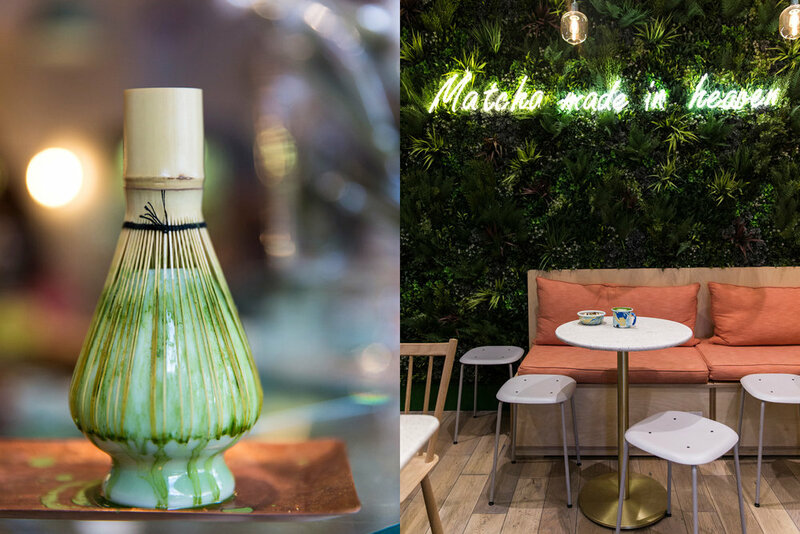 Matcha & Beyond is on the Kings Road between Chelsea Old Town Hall and The Ivy Chelsea Garden, it was nicely busy when I arrived in the morning, the café is cute, has great floor tiles, the back wall is a living garden with neon writing declaring it’s a ‘Matcha Made In Heaven’. 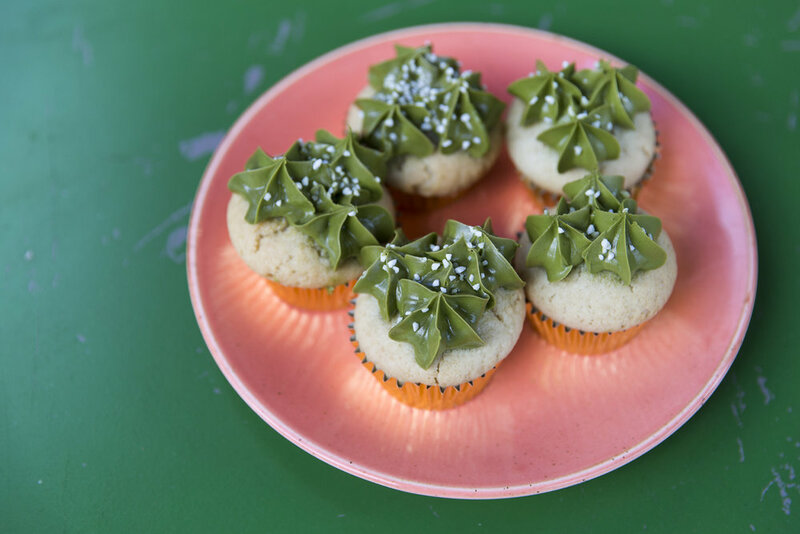 All the details are delightful, the counter has a sea of green products on offer from, green velvet cake, matcha and vanilla marble cake, matcha and white chocolate cookies, matcha energy balls to matcha chia pudding. And of course there’s a full menu of breakfast and lunch options that don’t feature matcha; Salads and bowls with sides of smoked salmon, avocado, kimchi and hallumi. But my main focus was the Matcha Coffee section, Matchamericano, Matcha Cortado, Flat Green and the Matcha Latte, I went with the spiced Matcha Latte made with oat milk. I took a tentative sip and it was delightful! Subtle, smooth with a just a hint of that earthy taste. I finished my mug in no time. And after talking to Olivia who is a nutritional therapist, I was thoroughly sold on the idea of Matcha being a useful nutritional tool in my daily quest for better health. The caveat, as I guess with most things, is that is has to be good quality and prepared in the right way with the best tools - like the beautiful looking traditional matcha whisk, that they use and also sell in the shop. 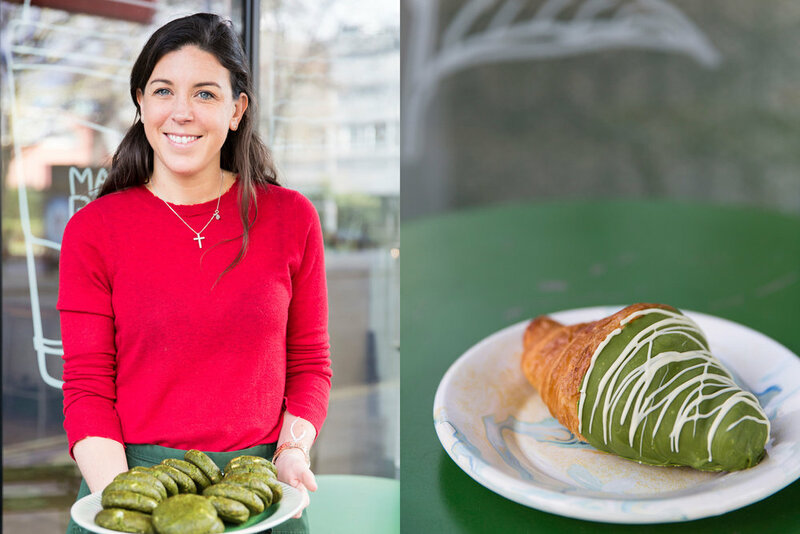 If you don’t want to invest in a trip to Japan or the time to learn how to make your own superb matcha latte I strongly recommend you head to Matcha & Beyond and try a cup of Olivia’s matcha coffee and definitely pick up a treat to go with it. Disclaimer: I was invited to visit Matcha & Beyond, but not asked to share my visit on the blog. I really enjoyed having my mind completely changed about something I thought I would never try again and I do want to support small businesses and their owners following their dreams and passions and I feel Olivia’s Matcha endeavours are worth sharing. I’d love to know your thoughts on Matcha – love or hate it?